The backhand is covered by embossed latex, which is anatomically shaped to move naturally with your hands. The glove features a Acclimatize Lam mesh fabric providing comfort and security in the glove body. 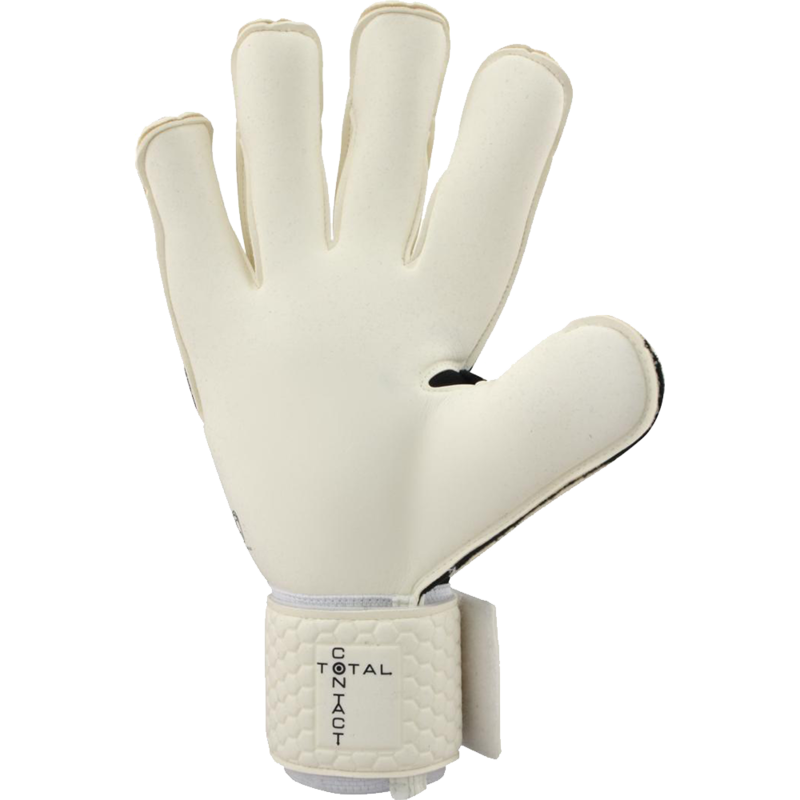 The Total Contact cut has been hugelyt popular with goalkeepers since it's arrival in 2012. 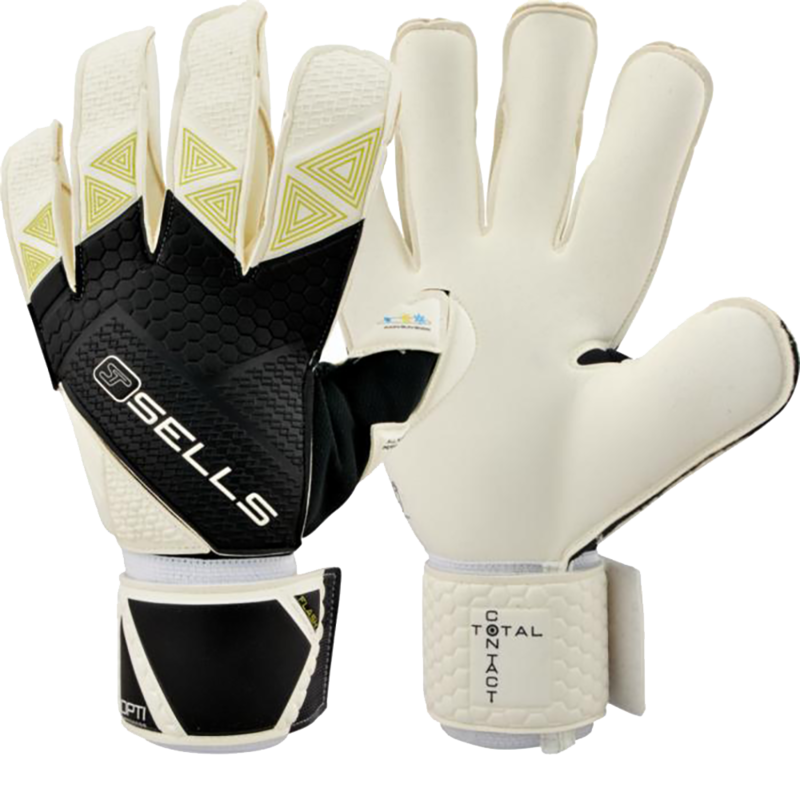 The glove provides a hybrid of roll, flat and negative cuts to provide the perfect fit and eliminating extra seams and stitching. The cut surrounds the hand at all axis points and the design provides comfort and flexibility that follows the shape of the hand. 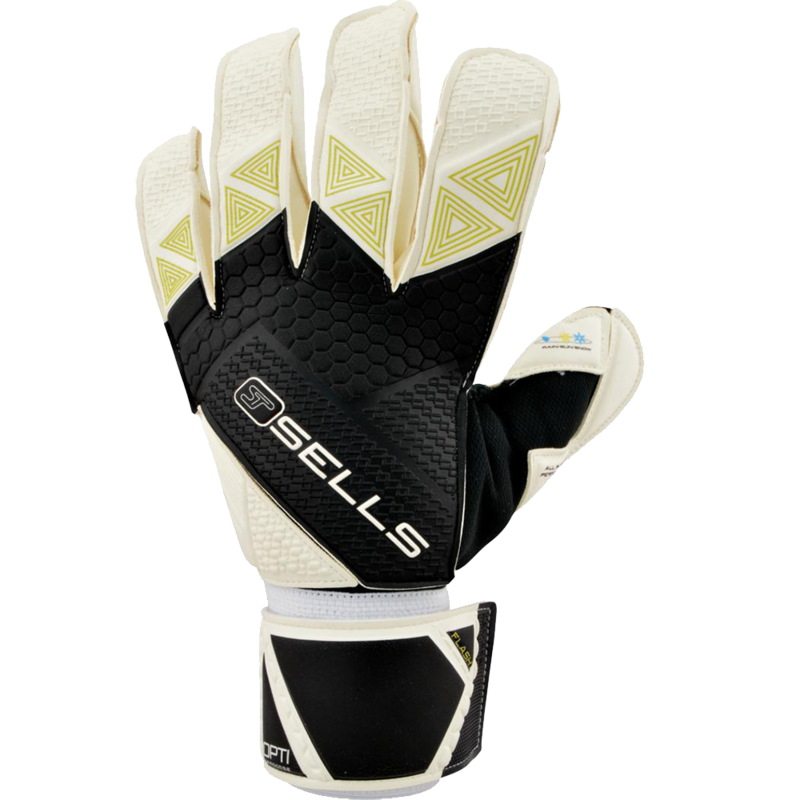 Goalkeepers of all ages and ability levels will enjoy this glove. All weather latex for all round performance. Available in sizes 6, 7, 8, 9, 10 and 11. We have found this glove runs 1 full size large (longer). You may want to order 1 size down from your usual size.